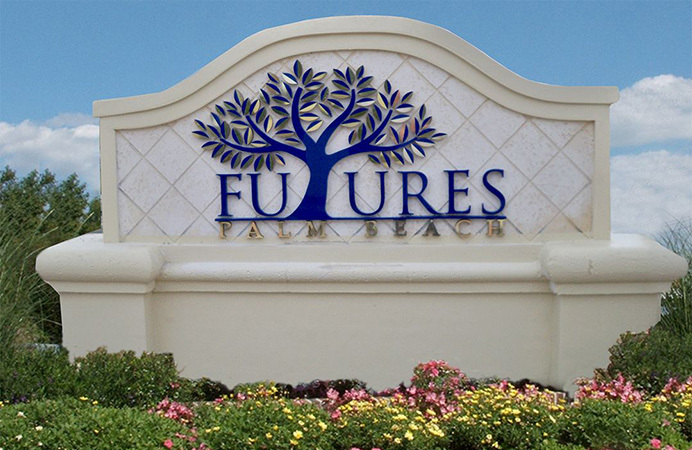 Stellar Signs & Graphics is a full service sign company that produces images with stunning color and clarity. We use State-of-the-Art equipment and Eco-Friendly water based Latex inks to produce a large format print image of the highest quality available. We offer a full range of services including consulting, design, production, installation and repair. 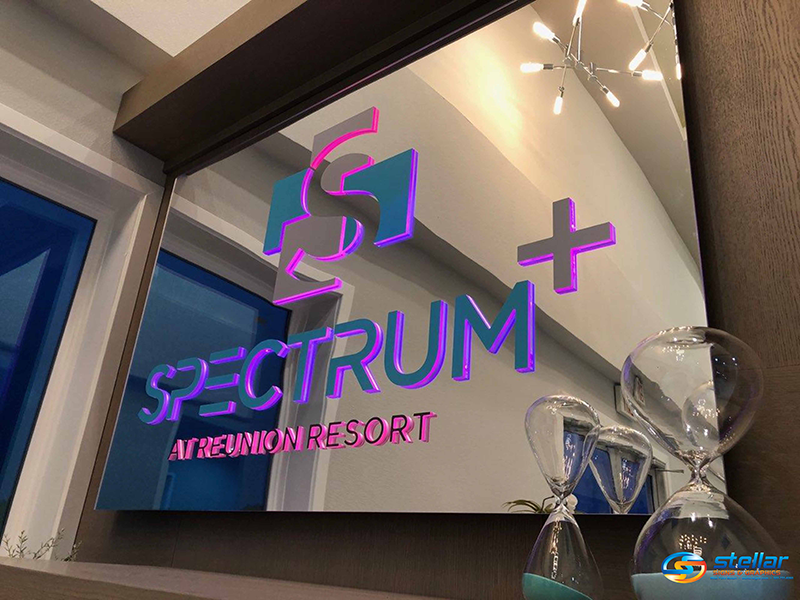 Located in West Palm Beach, Florida we are a local company with a nationwide network of quality resources to develop high impact graphic solutions that meet your needs and like our name suggests, we strive to exceed your expectations with Stellar Performance. Our goal is to deliver a simple one-stop solution for all your sign requirements. Illuminated Signs are an effective way to draw attention to your business day or night. 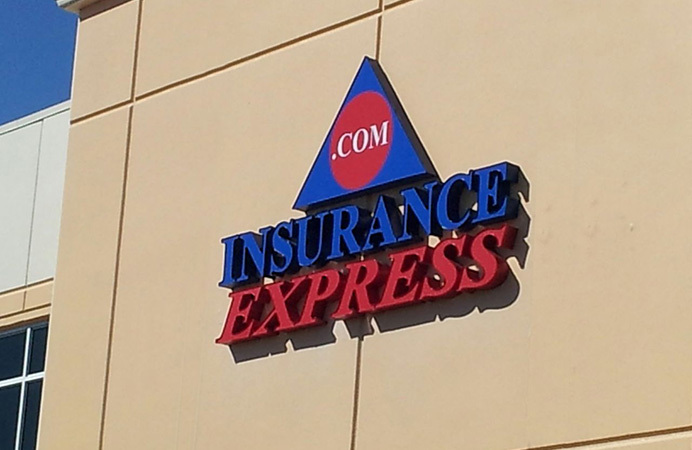 This Insurance Express.Com channel letter signs is Front Lit with the Letters measuring 22” high and the cabinet sign measuring 66” X 47”. 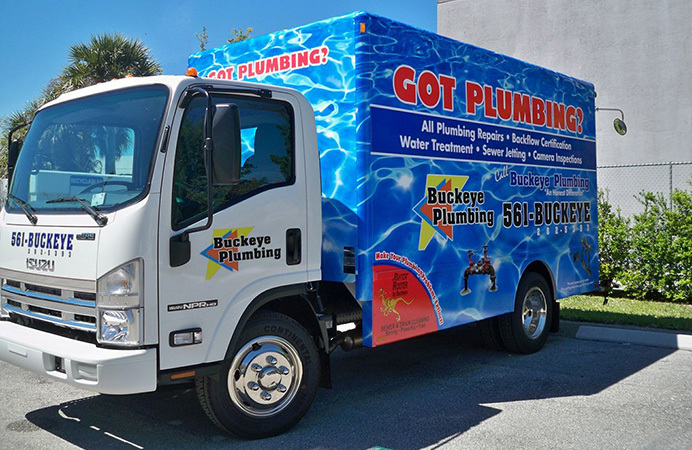 Vehicle Graphics/Wraps are rated the most effective way to advertise a business. A vehicle wrap will literally be seen by millions each year. This box truck wrap was digitally printed on 3M IJ180 and Laminated with 3M 8519. Reflective vinyl was used on the doors and hood for additional impact to the design. 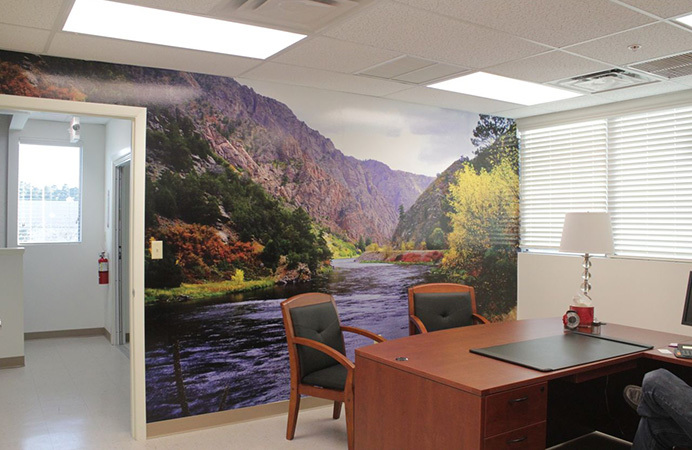 Wall Murals/Wraps are available from poster size to murals in large format sizes. Think big for wall graphics, where the image communicates your message visually more than text, impacting the customer emotionally. This mural is 15’ w X 8’ h. The image suitable for any type of setting, the possibilities are endless. 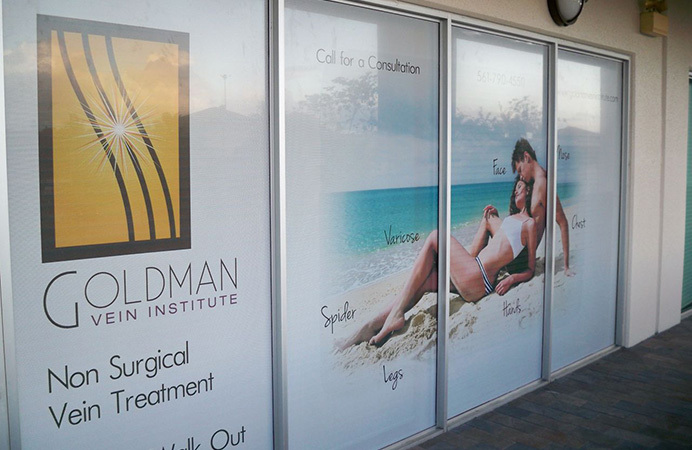 Window Graphics is a cost effective way to get your message out to the public. We can produce readable lettering or design digital images to direct customers to your business. This image was produced on 3M 50/50 Window Perf creating a stunning image while still letting sunlight into the interior office space. Monument signage stands out from buildings to increase your location visibility to provide an instant impact to compliment your building signage. This monument sign is mounted on concrete and was custom fabricated with polished gold and dark blue acrylic laminated onto exterior 10lb foam to create a sign like no other.